And the pad transitions make it a 17. That is not the reason. It's an incredibly twisty chart, which has everything to do with it. Transitions from one pad to the other barely have any significance in the difficulty anymore. Just look at Eternal Summer EDP. It's a wonderful chart though. Very fitting to each song. I love the Afronova part a lot for as simple as it is, while the bag part is going to be a nightmare and I love it. So good. Why did they remove DIVE anyway? Some BeForU songs were revived in X2 and it seem weird they didn't bring back their first song. Maybe because we already have DIVE TO THE NIGHT? Still it'd be great if we got 'em both, though. I scrolled over both of them and only saw an expert chart for love shine, and then only saw it after playing megamix. I looked over both before playing DDR Megamix and both songs showed up in singles with a challenge chart. So yeah, strange. Uh, OK. I think I should play more often and serious. DDR looks like a really hard 16. Can't wait to play it though. As for the 15 expert chart. It's the same with the megamixes on the Hottest Party series. They all end with a boss song. Bam! Automatically a 15 now. Thanks to this video I noticed just now that getting a Good Full Combo displays Full combo while getting a Great Full Combo displays Full combo! with the exclamation point. Wow, I just noticed that too. And PFC displays it with two exclamation points and MFC with three, just like their respective "Good" "Great!" "Perfect!!" "Marvelous!!!" judgment texts! Megamix is a really easy 15 outside of the ending, but it's a fun nostalgic chart overall. Love Shine is a really fun 14 that I wasn't expecting. Another solid update before DDR is declared DEEEEEEEEEEEEEEEEEEEEAD again. DDR MEGAMIX ESP reminds me of DanceDanceRevolution from EXTREME if only because they both use sections from other songs in a big medley of sorts. And I like that a lot. ...I know, it's an obvious comparison. P.S. : And the CSP/CDP charts make me extremely happy because they were great. Saying anything else would probably be an understatement. I like both tunes. DDR MEGAMIX gets the edge, but the LOVE SHINE remix is very nice and cute and hopefully opens the door for more SDVX content to make it on over. 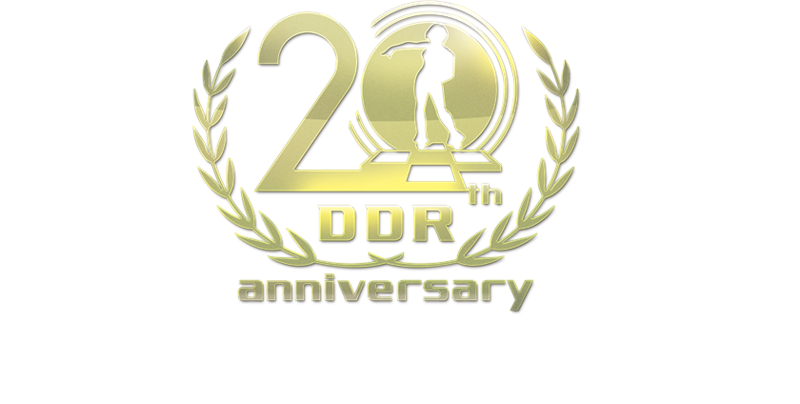 DDR MEGAMIX has been a long time coming and I'm both surprised and also not that it took them this long to bring it over. Neat little celebration of the 20th anniversary, even if it's nothing SUPER special (song's existed since pop'n 10 which i think is a decade old now? idk). Overall, I give these songs a Dope/10. I guess they're really hyping this up. It makes me think the "Submit-Your-Lyrics Song" isn't the only thing were getting this anniversary. "Our thoughts and prayers, are with YOU"
With how consistent Konami has been with their updates recently I'm feeling really good about this. Hoping for a new mix! Just... don't get too excited in case it is just a few songs. But if it is a new mix or a significant update, that's very good news. Very interested to see what this is about. This is promising - like most fans, I'm hoping we get a new mix announcement. The fact that they have that big splash screen has to mean something. What are the chances of them bringing back Dancemania licenses again? They can't. Dancemania is dead, KONAMI have fully severed their ties with EMI, and all the remaining X2/X3-revived licenses that survived the transition from 2014 to A were removed two months later. Kind of right. Rather than licensing them via Dancemania/EMI, they are just licensing them directly from the rights holders. So rather than Captain Jack being licensed from Dancemania/EMI, they were licensing directly from Beatdisaster, the label that controls the rights. Cutting out the middle man so to speak. Either it's a new mix or new songs, just wait and see what Konami will do. Words can't explain how excited I am. Again, we can only hope for the best for now. This page took 0.104 seconds to execute.